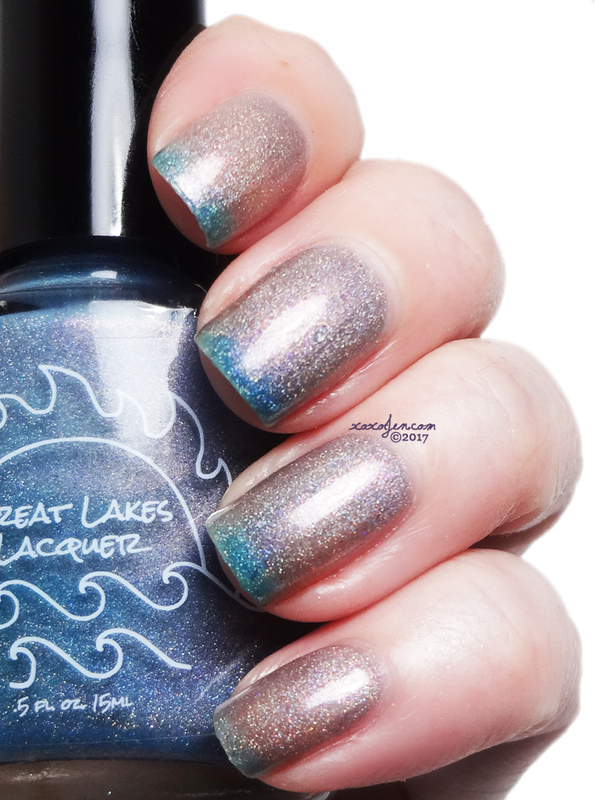 The Notes To Self Collection from Great Lakes Lacquer consists of four thermals, with names themed around things that Mariah needs to remind herself of sometimes. The launch will be at Polish Con September 23, at Navy Pier and later released online September 30 at 2pm Eastern. A reminder that the sun will shine again. 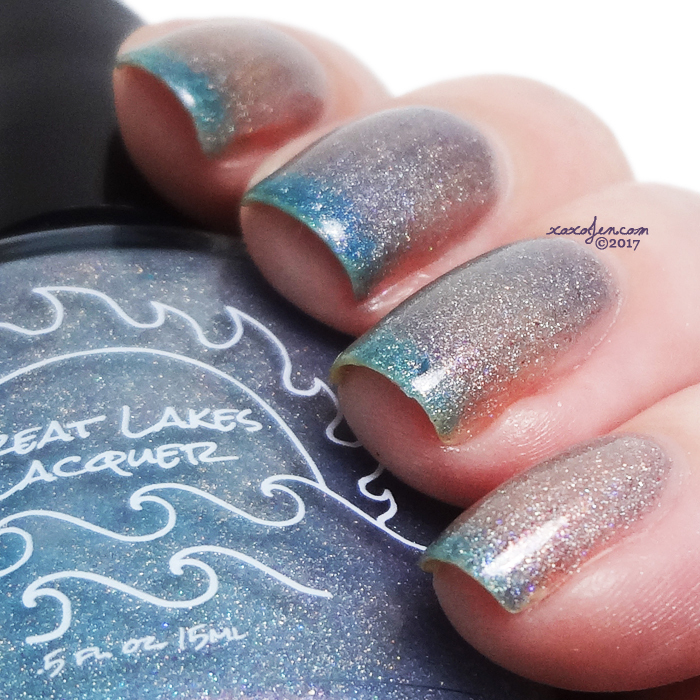 A sky blue thermal that transitions to pale gray with copious pink shimmer and a soft linear holo. Shown is two coats, formula was good. Finding me. Being me. Improving me. Best. Thing. Ever. A triple transition at times! 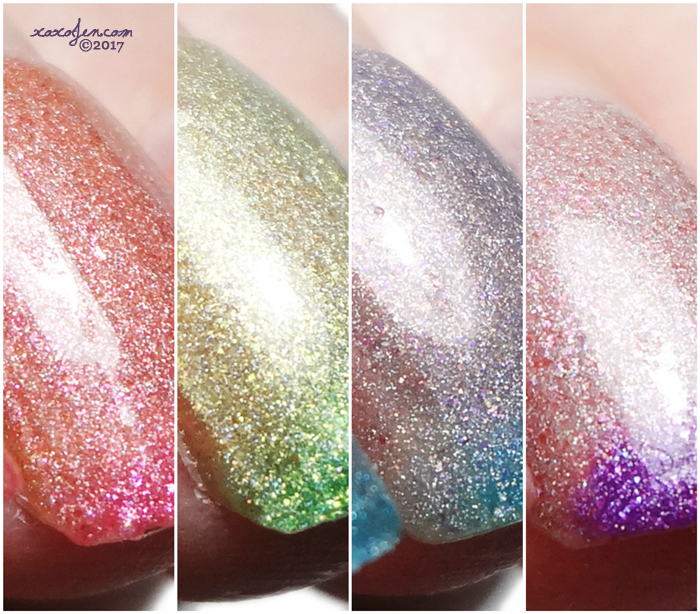 A purple filled with pink shimmer with flecks of blue and a soft linear holo that transitions to a soft blue in between and a rose gold with flecks of copper. That's a wrap - I hope it was enjoyable, thermals are fun to play with however; quite challenging for me to shoot because of my hot hands and short nails. I still love wearing them and have fun showing people at work how they change - it fascinates them!